Clck HERE to learn more. "With hospitals feeling the pressure to improve efficiency and lower costs, some are implementing the Kaizen method to streamline processes. Kaizen is among a number of process improvement strategies taking hold at hospitals across the country, including Six Sigma and lean. They all aim to improve existing processes within a hospital, but they're not one in the same. Jupiter Medical Center. Lee Fox, MD,Sheridan Healthcare's chief of radiology at the medical center, has been in the Kaizen trenches and offered some insights on how to facilitate process improvements." Humana is looking to hire 80 workers in its Miramar offices, where its South Florida operations are based. The positions are in telesales in the direct marketing services call center of Humana (NYSE: HUM) to support insurance products nationwide. Humana already has nearly 6,000 employees in Florida. Pediatric Cardiology Services and the Adult Congenital Heart Program. Prior to joining Miami Children's, Dr. Rhodes served as chief for the Duke Clinical Heart Program and Duke Children's Heart Center in Durham, North Carolina. 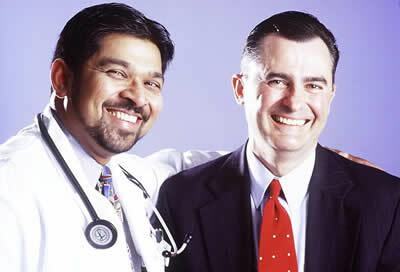 He was also co-director of the Duke Adult Congenital Heart Program. Tues., June 4 | 7:30-9:30 a.m. Early Bird Registration Ends May 17; Click HERE to register now. The Healthcare Roundtable Series is produced by FHIcommunications.